Jane Stringham of Salt Valley Vintage has an eye for aesthetics that are clean, effortless and simultaneously charming, rich and groovy. Salt Valley Vintage is an online shop in its third year of business that is ever growing, with customers across Utah, the U.S. and even internationally. 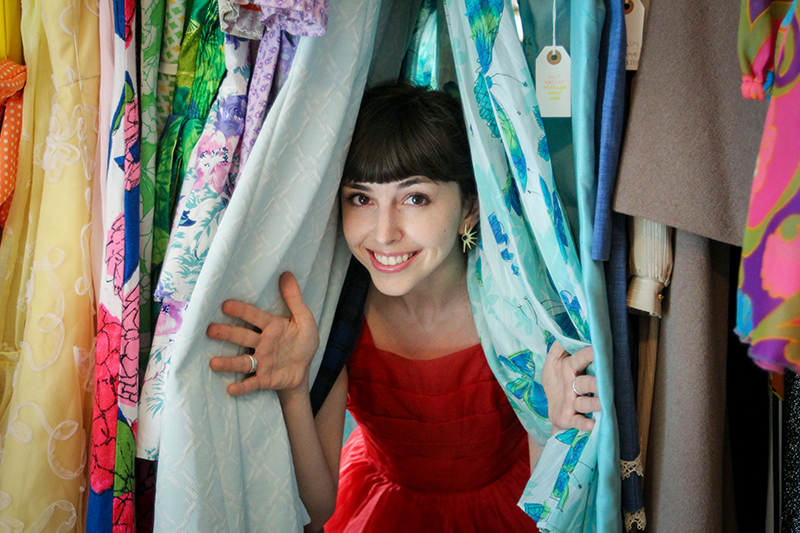 On how her shop originated, Stringham says, “I started getting curious about unearthing treasures in thrift stores and estate sales and began amassing such a collection that I wondered if I should start selling.” Though her launch into entrepreneurship is fairly new, Stringham’s love for vintage began as a small girl playing in her grandmother’s collection of dress-ups and continued to grow and burgeon through the years. Perusing Salt Valley Vintage’s collection, you’ll find pieces that are quirky, classic and waiting to become part of your story. “Material is really important in looking at a vintage piece,” says Stringham. She searches for durability, cut and especially print—whether it be picnic baskets or zodiac signs. Without a doubt, each item on her shop is picked out with care—Stringham even includes handwritten postcards with some of her shipped pieces. 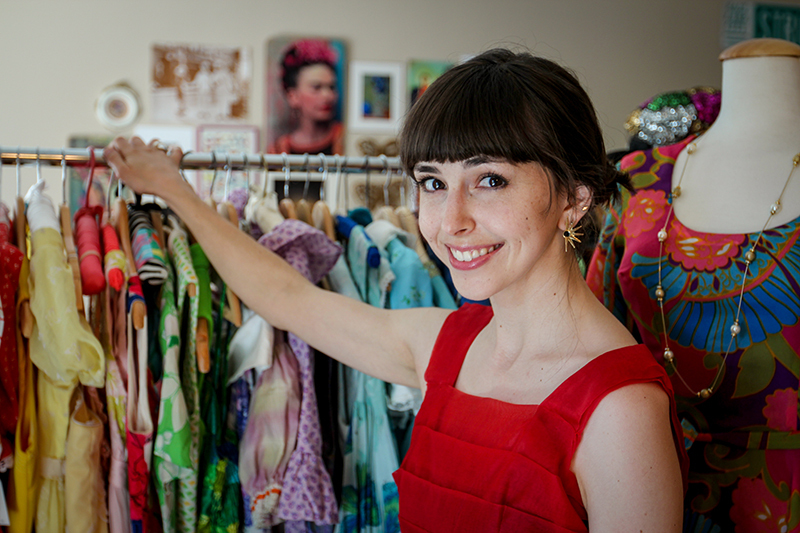 Part of what makes vintage so rewarding and valuable for her is taking the time to find the best treasures. 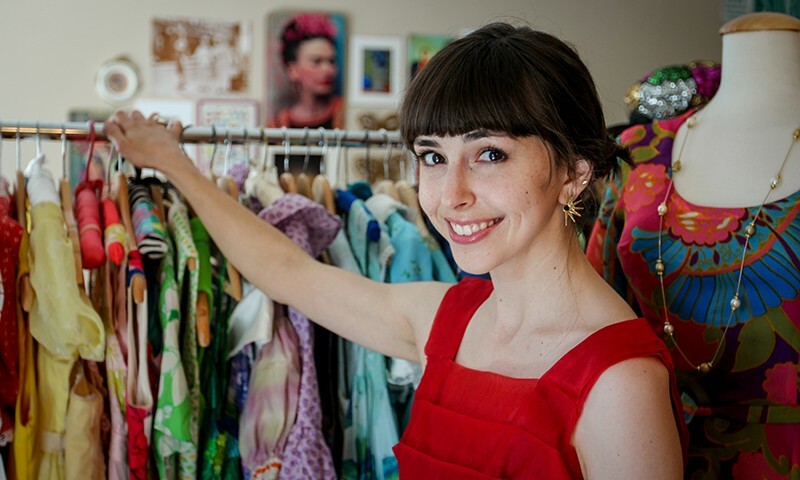 On Aug. 7 and 8, check out Salt Valley’s assortment of dresses, shoes, bags and much more in the flesh at her Craft Lake City DIY Festival booth. If you get the itch for a fabulous new piece before then, follow @saltvalleyvintage on Instagram. The 7th Annual Craft Lake City DIY Festival is right around the corner, Aug. 7 and 8 at the Gallivan Center. This year’s festival features over 250 artisans, craft foodies, vintage vendors and nonprofit organizations, as well as a replete offering of stage performers, buskers, DIY engineers, commercial food vendors and food trucks. Over the past seven years, Craft Lake City has celebrated DIY (do-it-yourself) culture of all forms, from artists and makers who call Utah home. This mission continually aligns with SLUG’s affinity for the vibrant local culture of Utah, and we’ve combed the lists of participants to highlight some amazing artisans, craft foodies, DIY engineers, performers and vintage vendors.